Chuck Zegers, OâNeill, Nebraska, purchased Lot 44. 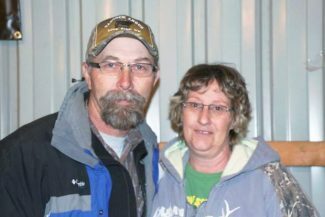 Amy and Gary Cammack, Union Center, South Dakota, purchased three bulls. 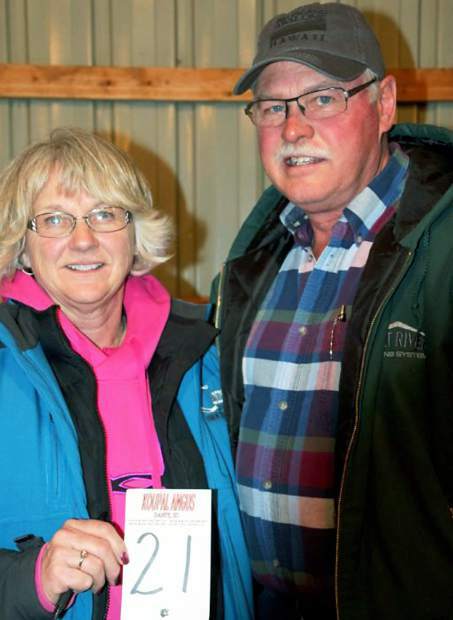 Bill and Theresa Babcock, Long Pine, Nebraska, purchased Lot 6 for $21,000, along with 5 heifers. Todd Schlueter, Blair, Nebraska, partnered with Ross Beeson, Dante, South Dakota., to purchase Lot 18 at $17,500. The biggest crowd ever gathered at the Koupal Ranch for their annual production sale on a typically cold winter day. This line-up includes bulls from Koupal Angus, owned by Lavern and Alice Koupal, and Derek and Kristi Koupal, and Koupal's B & B Angus, owned by Bud and Bernie Koupal and family. These herds are very production-oriented, especially on the cow side. Producing top-quality females with good udders and easy fleshing abilities are some of their top criteria. Koupal Angus herds have a long history in the Angus business, and offspring were offered from their usual bloodlines, along with bulls from many different bloodlines that were selected to keep cattlemen in business. The Koupal catalog is filled with data on each bull, including some impressive scan figures. This was an especially big, stout, and wide-made set of bulls. The top selling bull of the day was Lot 69, Koupals B&B Atlas 4061, selling to Sitz Angus from Montana and Semex from Canada for $70,000. This yearling was sired by RB Active Duty 010, and was out of a Connealy Thunder daughter. This was a bull you turned around and took a second look at. 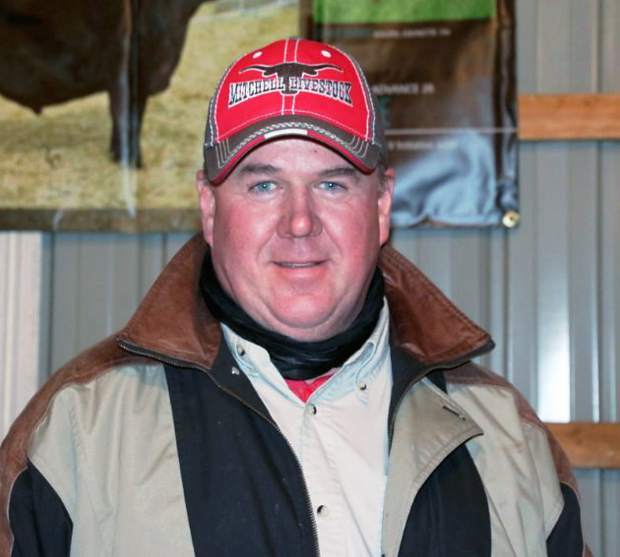 Bud Koupal believes this bull will be a true herd changer with all of his natural muscle. Born at 80 pounds, he weaned at 763 pounds, and grew to a yearling weight of 1,397 pounds. His EPDs were CED 8, BW 2.1, WW 62, YW 116, and MILK 28. Bill Babcock, Long Pine, Nebraska, purchased Lot 6, Koupals B&B Identity 4016, at $21,000. Sired by Koupals B&B Identity, he was out of a daughter of SAV Bismarck 5682. Only 79 pounds at birth, he weaned at 759 pounds. and had a yearling weight of 1,393 pounds. His EPDs were CED 0, BW 2.6, WW 66, YW 116, and MILK 30, with MARB of 0.78 and RE 0.76. His rib eye was 15.3 square centimeters. He should put weight on calves. A couple of yearling bulls brought $18,000 each. Lot 1, Koupals B&B Enchanter 4018 was purchased by CRV and USA of Madison, Wisconsin. This bull has the maternal traits of Juneau and the performance of Identity. 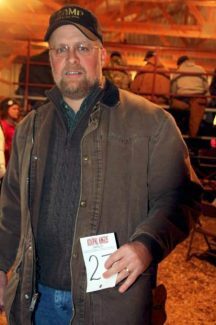 His dam had a weaning ratio of 110 on 8 calves. Born at 71 pounds, he weaned at 722 pounds before reaching a yearling weight of 1,356 pounds. His EPDs were CED 8, BW 1.1, WW 64, YW 114, and MILK 37. Also at $18,000, Lot 12, Koupals B&B Identity 4056, headed home to Moore Angus at Artesian, South Dakota. This bull had plenty of eye appeal and caught some attention from the purebred breeders. He was sired by Koupals B&B Identity and out of a daughter of N Bar Emulation EXT. He hit the ground at 78 pounds, and then grew to a weaning weight of 701 pounds and a yearling weight of 1274 pounds. His EPDs included CED 5, BW 1.7, WW 55, YW 104 and MILK 27. The top selling fall bull, at $15,000, was Lot 163, a son of Koupals B&B Identity. Born at 80 pounds, he was out of a daughter of Boyd New Day 8005. His EPDs were CED 7, BW 2.2, WW 63, YW 111, and MILK 29. His scrotal measurement was 4 centimeters. on Dec. 15, 2014. 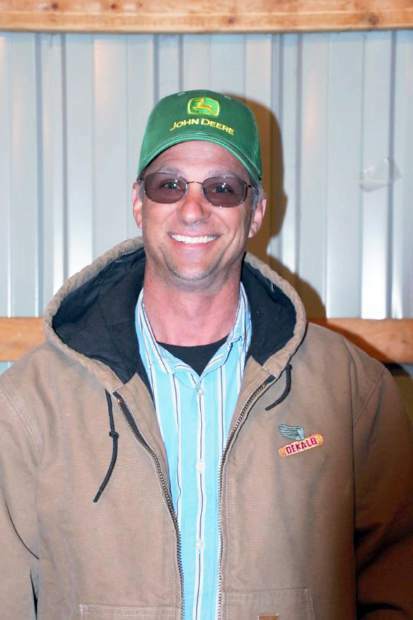 His new owner was Demers Ranch, Colome, South Dakota.